Do you feel the happy chills when you realize that the month of March is approaching? If yes, then definitely you are the “Fish”. Astrology has placed the sign of the fish in this month. Although the month is named behind the planet, “Mars”, its association with the sun sign is based on the position of Neptune. Boring, eh? Astrology can be boring but when you know the secret of getting the insights into the vagaries of human nature based on their birthdays, does it sound interesting? Probably yes! “Hush-a-by lady, in Alice’s lap! Red Queen, and White Queen, and Alice and all”! If you happen to see someone sitting by the side of the lake or sea or behind the teller’s cage, then probably you witness a very rare kind of fish. Pisceans cannot be restricted to one place for long. The fish is ruled by Neptune. If you want to spot a Piscean then think of your dreamy friend or the one who drifts off in his/her own world during the lectures, or the one who pushes you into going to an art gallery with them, or the one who reads a lot, or the one who is a die hard romantic at heart. Pisceans are serene people. They do not give a minnow for power or leadership or wealth. But this does not mean they repel cash. Probably, the one who said, “I do not want to be a millionaire but I want to live like one”, was indeed a strict follower of Piscean philosophy. The dreamer reflects signs of dual motion. Pisces represents death and consciousness of the soul. They generally prefer the path of least resistance but when their pot is full; they might unleash their anger by lashing their tails angrily. Emotional by nature and negative by choice, the people of this sign are lovable. Their first impression is splendid. They master in satire. Their grin is the one that hides thousands of unshed tears and humour is their secret weapon. The sign of two fishes, swimming in opposite directions, gives duality to this sun sign. Many a fish might be inclined to keep swimming against the current, upstream, determined and strong willed to achieve something. And on the contrary, many a fish may go with the flow and swim downstream, without having to face the opposing current. But they might be tagged as “lazy” or “submissive” and might even lose themselves due to excessive indulgence in life. But whichever direction they chose, they carry with them, an unremitting mystical allure that draws many a sceptic towards them! Have you recently met a person who forced the conversation upon you and engaged you in a forceful friendship, accompanied with a firm handclasp? Then probably you just met an Aries. These people are confident in what they speak and that is the reason why you cannot battle with them to have the first say in a conversation. They do not hold back their opinions and can never stand injustice. Contrary to the Pisces, this sign represents birth (also the reason why it is the first sign of the zodiac). Shilly-shallying or beating around the bush is not their cup of tea. 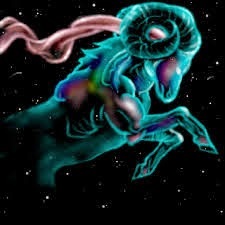 The sign of the Ram has both, the good as well as the bad side to it. The impulsive Aries might be forced by its nature to ram their ideas down everyone’s throat, without even bothering to ask about how others feel. It is these times when you feel that these people were more subdued and considerate. On the contrary, the subdued Aries is so keen on playing a waiting game and eventually lose. They do not have their say. People can successfully override their thoughts and they won’t even showcase the tiniest frown or wrinkle on their forehead. Pisces is a water sign and Aries is Fire. Both do not mingle well. Infact, theoretically they do not match at all. But astrologically speaking, the perception might vary from person to person. The “March borns” carry a hint of magnificence with them and are attractive personalities. These people are lovely next door neighbours and precious friends. Betrayal is not in their dictionary. Love and compassion is their true virtue. Be it Pisceans or Arians, March borns are great people (probably because this month is the best). So have you befriended any such person yet?